We currently live in a digitally-advanced world where every mobile phone has a Quad-core processor so can Blackberry’s latest phone with a Dual-core chip can fight through the competition and achieve a successful touchdown in the market? Here’s an in-depth review of this baby and find out why it stands out amongst competition. Samsung and Apple have been unveiling new smartphones almost every year while Blackberry have taken a slow and safe turn before they unveiled their newest touch screen Smartphone—Blackberry Z10. The Canadian-based phone producer unveiled its latest touch screen phone alongside the traditional keyboard-based Blackberry Q10 both equipped with the new Blackberry 10 OS. Blackberry Z10 is the company’s first fully touch screen Smartphone. Unlike other mobile phones in the market , even its predecessors in the Blackberry Storm series, Z10 has no physical or touch-sensitive buttons on the front. All navigation uses the screen. The only buttons are the power button on top, and the volume and mute controls on the right hand side of the phone. This is great news to people struggling with those tiny keys on Blackberry’s QWERTY phones. 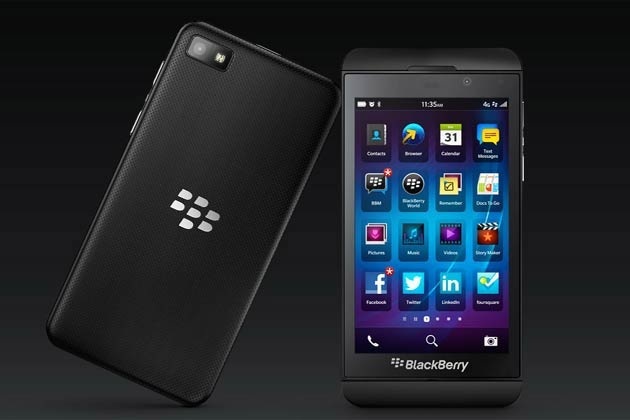 Blackberry Z10 has finally created a direct competitor for iPhones, Windows phones and Android devices. The overall design of this phone simple and sleek and looks very similar to the iPhone 5 with its rounded corners and straight edges. Yet compared to the iPhone, the rear cover of Blackberry Z10 is slightly more rounded at the edges making it easier and more comfortable on the hand and the rubber-like texture of the rear cover is quite similar to Google Nexus 7. Equipped with the recently launched Blackberry 10 OS, the Z10 interface appears to run very smoothly showing no signs of lag therefore ensuring user satisfaction. It also features a fading animation every time you flick between pages. You will see the previous app page fade away to the side of the screen and replaced by a new page. Blackberry Messenger (BBM) users will also love the newly updated Screen Share feature of its latest OS. With a press of a button, users can now share what’s on their screen while on a video call. They can share Youtube videos, contact information and internet pages. This exclusive feature was clearly implemented to target businessmen on the go as well as shows great potential for social users too. Its doesn’t set itself apart from the other smartphones in the market nevertheless it’s sturdy and it comes with a user-friendly interface making Z10 one of the easiest to use touchscreen phones around today. What more can you look for, it’s everything you would want in a phone. Once you tried it, get ready to be amazed! As long as you’re equipped with the right productivity tools, the iPad can be as useful as you want it to be in the classroom. 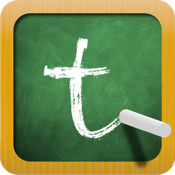 The most effective productivity app for educators is the TeacherPal from ITWorx. As an educator, having this great solution spares you the burden of keeping a gradebook, taking attendance, and other aspects of classroom management. The app helps in the iPad’s main goal as a productivity tool, which is streamlining data from formative assessments. Aside from this, how can the app help in securing classroom management and interaction? TeacherPal has an easy to navigate interface, allowing you to freely touch, scroll, and swipe through the iPad. This is the same technique mastered by the CaringHands app, which is one of the 10 winners of Verizon’s Innovative App Challenge. In just a few movements of your fingers, you will be able to condense the volume of work, giving students a neat package of information. Plus, these pieces of information can be transferred in the iCloud, where students can access them on the go. With the app, you don’t have to worry about bringing cumbersome binders full of documents all the time. The application is perfect for educators who have more than two classes. The tool has the ability to keep all the separated information from each class, avoiding the problem of switching student details and the dedicated learning modules for each group. You can create as many classes as you need which can be deleted or edited based on your preference. A big plus is that the website hosts a virtual conference where users and the developer convene. Unlike most lesson plan apps, ITWorx doesn’t allow you to make your class modules. Instead, it helps you track the progress of your lesson plans through a calendar. From the calendar option, you can indicate the date, period, title, and necessary notes. Moreover, you can tap the checkbox if you intend to utilize a lesson plan more than once, just denote the exact day and time of use. This feature works as a real classroom; if there is no lesson plan entered for the day, the Attendance feature won’t function. Whether for Math, Science, or other subjects; the Attendance option is always accessible for real-time updating. This is an easy way of helping educators check student involvement. For easier navigation, you can include a picture for each student. There is also a dedicated button at the top, which you can toggle if all learners are present. The tool is a great alternative to the physical seat plans, where you have to congest all student notes in a small box. When you tap a student’s photo, you will be given four tabs: attendance record, personal information, grades, and behavior. This gives a detailed tally of the student’s absences, complete with the dates and notes. This tab houses the student’s email address, as well as the parents’ number, email, and phone number. This feature won’t give you access to edit or to change a student’s grade. Instead, it will give you a tabular view of all the assignments and the grades that the student obtained. In this panel, you can keep all of the student’s positive and negative remarks. You can create a special note for every incident, allowing you to indicate event details, date, and time. 1. During Music class, you can link your students to some of the newest sheet music and instrumental modules. 2. In group or individual activities, you can disseminate a Google form for each learner, containing a checklist of all the skills being evaluated in that particular experiment. 3. In just a tap, you can record the student’s progress which will be put into a Microsoft Excel sheet. During parent-teacher meetings, you can show this to their parents for reliable feedback. The best thing about this app is that you can get the most of classroom management without spending a single penny. What do you think of this app?